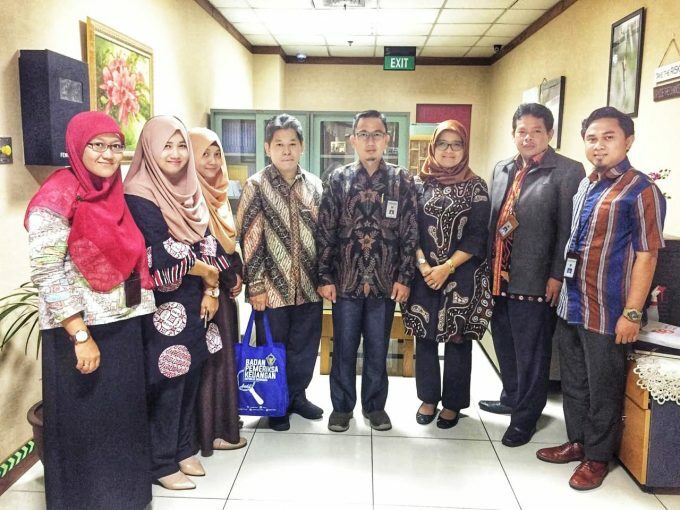 Jakarta- following up on the offer of educational cooperation initiated by the BPK RI, on November 16th 2018, the Science and Doctoral Masters Program of the Faculty of Economics and Business, Gadjah Mada University (MD FEB-UGM) visited the State Audit Agency, Republic of Indonesia (BPK-RI) for sustainability educational cooperation. The MD FEB-UGM program is represented by Prof. Catur Sugianto, Ph.D., Nurul Indarti, Sivilekonom, Cand. Merc, Ph.D., Wiwin Purwanti and Riana Wijayanti, who were then welcomed by Ruslan Ependi as the Head of Competency Development and Performance Appraisal Division along with three HR staff.